We interrupt our normal programming to make an important announcement. Life is full of change and this year there will be some changes in the Christian Downunder Admin team, with some new faces and the absence of some old ones. Anusha Atukorala has faithfully ministered as part of the CWD Admin team for five years now. She was a welcoming face when I joined the team and a great support when three years ago Nola handed me the baton as coordinator. You may have noticed that Anusha faithfully posts the links to the CWD blog each Monday and Thursday without fail and with an encouraging comment. When required, she also chooses and posts our blasts from the past, revisiting great posts that are still relevant and inspirational. Behind the scenes, I've been grateful of Anusha's wisdom and encouragement and prayers. I'm inspired by her unwavering gratitude and faith in God and her gentle and kind spirit despite the challenges she often faces. Over the last few months, Anusha has felt the Spirit calling her out from CWD Admin after five years – and she is looking forward to being an active member of CWD without the admin role. "God has been wooing me to more intimacy with Him over the past 20 years. It has been a wonderful, thrilling, challenging, blessed journey with Him. He continues to call me to a deeper walk with Him, to love Him more, to love and encourage others and to shine His love and light in a dark world. I am being intentional in not having a busy life – instead doing only what God asks me to do. A huge challenge in this world where being busy seems to be equated to success especially for writers in the 21st century world. I have discovered that LOVE is what life is all about. Not always easy to practice – but how thrilling love of God who woos us and lavishes His love on us. I'm grateful to God for CWD and the gifted, amazing writers in it for their support and encouragement in my writing journey." Ansuha will still be with us, blogging and as an active and valuable member of CWD. Anusha has been on many interesting detours in life, as a lab technician, a computer programmer, a full time Mum, a full time volunteer, a charity director, a full time job chaser, until one golden day (or was it a dark moonless night?) God tapped her on her shoulder and called her to write for Him. She has never recovered from the joy it brought her. She loves to see others enjoying life with Jesus and does her mite to hurry the process in her world through her writing and through her life. 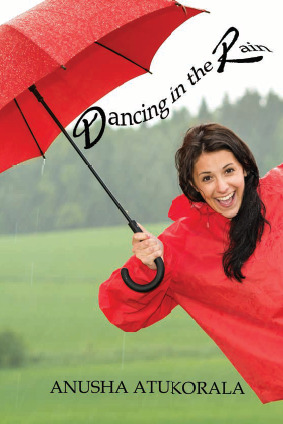 The goodness of God is her theme song through each season, as she dances in the rain with Jesus. 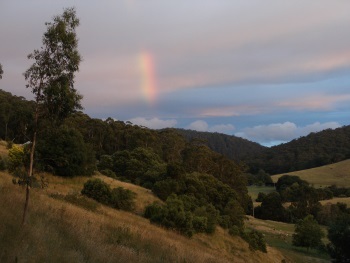 She blogs fortnightly at her website Dancing in the Rain sharing God-thoughts and life lessons. Her first book Enjoying the Journey contains 75 God stories that will bring you closer to your Creator. Her second book Dancing in the Rain was released in March 2018 and brings you hope and comfort for life’s tough seasons. She lives in Adelaide with her husband Shan and their son Asela. I'm also grateful for Paula Vince who will be continuing on in her role on the CWD Admin team. Paula has faithfully reviewed applications of those wanting to join CWD and welcoming new members. She, like Anusha, has been ready to step in the breach when needed, I've appreciated her gentleness and wisdom when decisions have been required. As sad as Paula and I are to see Anusha leave the Admin team, we are excited to welcome a new member - Mazzy Adams. 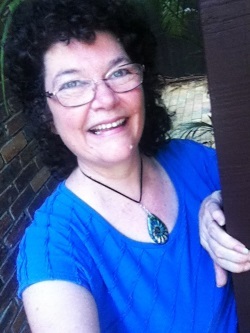 Mazzy Adams (Cathie Sercombe) is an Australian wife, mother, grandmother, creative and academic writing tutor, and published author with a passion for words, pictures and the positive potential in people. Her poetry, creative non-fiction, short fiction, and spiritual devotions have been published in Australian, US and international print and on-line anthologies. She’s preparing her New Adult Thriller novel, Licence to Die, for Indie publication in the near future. Mazzy (Cathie) has an Assoc. Degree in Arts (Creative Writing) from Tabor Adelaide, S.A. and a Cert IV Christian Ministry from World Changers College of Ministry. She lives in Queensland with her beloved husband, and manages their education consultancy business. Mazzy has been a regular contributor to the Christian Writers Downunder blog for some years. 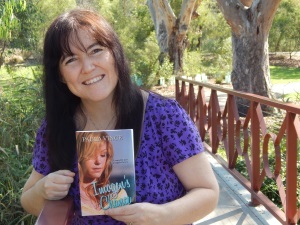 She’s also a member of Omega Writers, Queensland Writers Centre and various Australian online writers' groups. She is most especially delighted, humbled and proud to be one of Toowoomba’s famous (or infamous) Quirky Quills. The CWD Admin are also considering adding one or two more people to the admin team over the next few months. Christian Writers Downunder has now over a thousand members, and we appreciate your contributions and the way you interact and encourage each other. Our thanks also go to Nola Passmore, who ably lead CWD from 2014-2015, and the original founder of CWD, Lee Franklin. I’ve learned such a lot in the last two years and it’s been a privilege to play a small part in facilitating a group involving such a wonderful bunch of writers, editors, illustrators, publishers and readers. You can read a longer post about those aims here. The Admin team are also grateful to the blog team who take time out of full lives and busy schedules to write blogs to encourage and inspire us. And for all the CWD members who take time to respond to fellow CWDers questions, encourage when encouragement is needed, or to participate in Share Wednesday, and to share, recommend, and support fellow writers, editors or illustrators. Please pause a moment to thank Anusha and welcome Mazzy to the CWD Admin team. She has published numerous short stories, poems, two novellas and her debut novel, Akrad's Children and Ruhanna's Flight and other stories. Her latest release, Stone of the Sea (the third novella) is now available. . 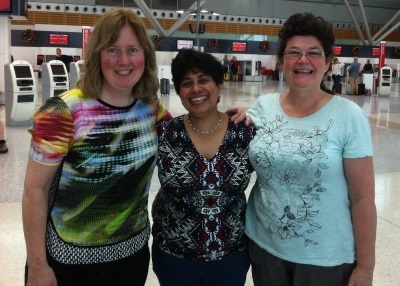 Thank you so much, Jenny, Anusha and Paula for your faithful service to CWD. I was thrown in at the deep end when I first started, and I so appreciated all of you in those days. When I felt God calling me to other tasks, it was great to know that CWD was in such great hands. Anusha, may God bless you in your new endeavours. You have been such a good and faithful servant. Jenny and Paula, thank you so much for all you do for CWD. It's such a warm, nurturing group and the leadership is a big part of that. And welcome Mazzy!!!! So glad you've responded to the call. Will look forward to your input. May God bless all of you. Also praying that you might find those other couple of people to help as well. Thanks, Nola. Really appreciated you taking your time with the handover and for vision for CWD and your continuing contributions. Prayers always appreciated. Thanks Nola. Wow - you did amazingly well being thrown into the deep end like that! Thank you for all you did to make CWD flourish. Thanks too for your warm wishes my friend. And yes, CWD is a warm nurturing group. Thanks Jenny Paula and Mazzy - we know God is going to do great things through you three in 2019. Blessings on you all. I'm sure there are great times ahead, as there are behind us. Farewell to Anusha, and I'll miss working with you. Over five years, that's a lot of blog linking and kind comments 💓 A more than double effort, including comments on the blog posts themselves. You've well and truly earned a rest. And welcome to Mazzy. Nothing like a dash of the new enthusiasm I can already sense brewing, and I look forward to your input. As Nola says in above comment, it's a privilege to help facilitate such a warm and positive group. Looking forward to other new facillitaors time may reveal. Thanks so much Paula for your warm wishes and I too will miss working with you. But ... will be there behind you all the way. I agree that there's nothing like new blood to give a big dollop of inspiration! Thank you Mazzy for joining the ranks. And thanks Paula and Jenny for your faithful and hard work which is reaping rewards. Bless you. I'm a jumble of feelings at the moment - excitement, nervousness, anticipation - not to mention a little sad because I will sorely miss Anusha's delightful post promos. But mostly, I'm filled with gratitude for all the encouragement I've received to keep going in my writing journey from precious souls like Nola, Anusha, and Jenny. Paula's book, Best Forgotten, was one of the first novels I read from among the published authors in this group. I not only loved it, I loved the way Paula had written for that older YA/New Adult audience at a time when NA was just becoming a thing. The wisdom shared by CWD members both here and in the Facebook group has been (and continues to be) a significant positive influence for me. It's a refreshing, informative source which presents a gentle and unique perspective of writing as a calling, a ministry, a vocation, and a heck of a lot of fun (when we're not tearing our hair out). I look forward to keeping that momentum going and sharing the love. Wonderful to have you on the Admin Team, Mazzy. CWD has been an integral part of my writer's journey too. Love the encouragement and support of each other and the practical knowledge shared. I can well understand your jumble of feelings dear Mazzy. Not to worry - Mazzy Adams will take over from me and do a better job than I did. I can tell. :) Do agree that Best Forgotten is a wonderful read and one of the best Aussie books I have read. Well done Paula. Which reminds me. It's probably time for a 3rd read of it. All the best Mazzy and I pray your time in the CWD Admin team will be rich and rewarding for you as you bless others. Thank you Mazzy and Anusha, for your kind words about Best Forgotten :D It has a soft spot in my heart too, because of the nine books I've written, I consider it one of my three personal favourites. You'll be wonderful, Mazzy, and I'm so pleased you're on the team. Your warmth, humour, wisdom and compassion will stand you in good stead in your new role. Our Anusha, though she's such a diminutive woman, will leave some giant shoes to fill, lol. I feel you'll slip right into them and make them your own in no time at all. Thank you for being there for us. All of you gals are inspirational! Thank you Anusha...love being on the journey of life with you! Thanks for joining the team Mazzy. Aww! Same here Di. Love doing life with you too. It's time we met face to face I think so let's hope we meet at the next writer's conference. :) Thanks for all your encouragement on life's journey Di. God bless you. Thank you, Anusha. I am sure I will still read your inspirational comments on Facebook. Indeed you will Peace Writer! I will definitely continue to be an active part of the group. Bless you. A big THANK YOU Jenny for your encouraging words today. A lovely post - thanks so much. Thanks too to Paula and you for all your hard work over the year and still going. It was great to work with you both and I will miss being part of the team. Delighted to have Mazzy on board and looking forward to fresh blood bringing new ideas and enthusiasm to CWD. May God use the three of you and give you all you need as you follow His call. Blessings on you all dear faithful writers. Thanks Anusha - glad to give back some encouragement :) Wishing you God's special provision and rich blessings as follow His call wherever it may lead. The king is dead, long live the king, seems apt, if a tad over-dramatic, but any change - of season, of leadership, of direction - is an opportunity for growth and progress. And so it is for CWD. I wish Anusha a satisfying sense of enlargement of spirit, and for Mazzie & the team, every blessings as they serve the members of CWD. Thank you dear Rhonda. I'm sorry I'm responding to this months later - just read it. Yes, CWD is exactly where it is meant to be and I know it will thrive and blossom under the new leadership. Thank you for your warm wishes dear Rhonda. Greatly appreciated and happy writing to you too. I think this might be the beginning of a whole new chapter for you, Anusha. You've recently said 2019 will be our big year for writing and I look forward to reading your progress. You're often in my prayers and I'll keep you there as you settle into your more focused writerly life. Thanks so much for the amazing amount of wisdom, patience and compassion you've extended to all of us. Hi Melinda. So sorry - I read this message only now. It encouraged me no end too. Yes, it is a new season in my life, that's for sure. Asking God to help me earn through my writing this year. Thank you so much for your prayers. Praying for you too my friend. I do need more focus and discipline and am trying hard to make it a more productive year. Thank you for your caring words. Bless you for your lovely encouragement dear friend and all the best to you too in your artistic endeavors - both writing and painting. I know you will enjoy them and that they will bless our world.